Do you believe that God is doing a good work in you? 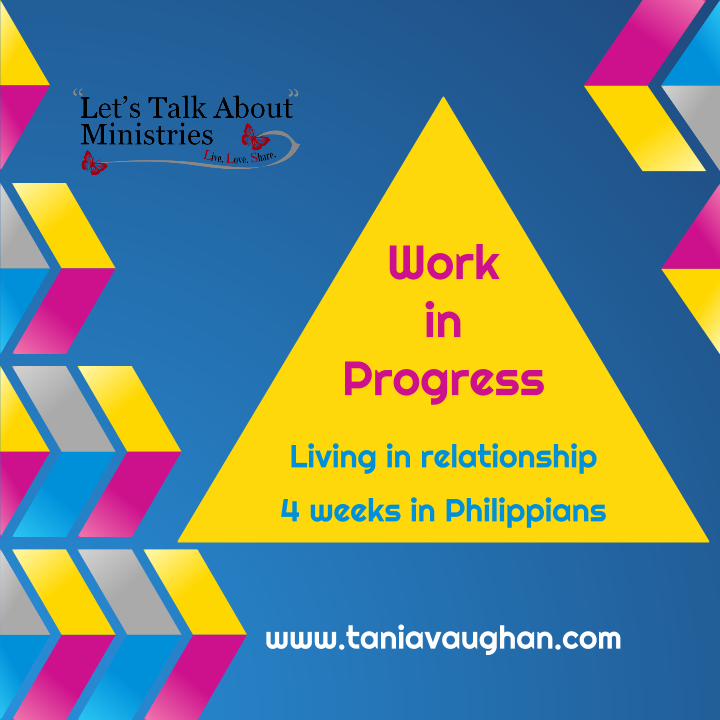 Paul is confident that what God has started, he will continue until completion, when Christ returns. You are ever changing, God loves you too much to allow you stay the same. He is working out those niggles and negativities in your life. You are being transformed into the image of Christ with ever increasing glory (2 Corinthians 3:18). How does this change take place? Simply, by keeping the first two commands: Love God, love others. It is simple because God does the hard work of changing you, this is why Paul prays that "your love may abound more and more" (verse 9). You cannot come to Christ, declare your love and do no more. As you continue loving more and more, God continues changing you. As you read God's word and seek him, you gain more knowledge and deeper insight. You learn to love him more, you imitate him in the love you show others, and God continues to change you. Through his word you learn about God and his love. You are able to discern his will and hear his voice and you love him more, and God continues to change you. As you put time into your relationship with God and imitate Christ, you become filled with the fruit of righteousness. The fruit of the Spirit become more evident in your life and you love him more, and God continues to change you. As you feel the change and notice the love you are putting into the lives of others, you see the glory of God's work and you praise him. You love him more, as you're loving others more and God continues to change you. Paul recognised that we are to never stop working for God's glory. During his time in prison he makes sure that everyone there, including the whole palace guard, knows why he is in chains. His message was wide reaching despite his chains. He sees his witness encourage other believers in Rome to confidently speak the good news 'boldly and without fear'. Paul, despite his predicament, witnesses and disciples many. Most of us, in the western world are unlikely to be locked up for our faith, but there are other forms of prison you may feel unable to escape from. Have you ever been in a place you can't imagine Christ could possibly work in? Poverty, addiction, illness? It is the experiences and relationships you encounter through your walk with Christ that help you to grow as a Christian and allow God's glory to shine. We all are called to spread the good news of Jesus Christ. Some do it overtly, others through witness, but we are all called. If we love the Lord, as we say we do, we cannot help but imitate Him. Show the love of Jesus wherever you are and embrace the relationship he desperately wants with you. You will be blessed with the Fruit of the Spirit and be as effective as Paul the Prisoner!